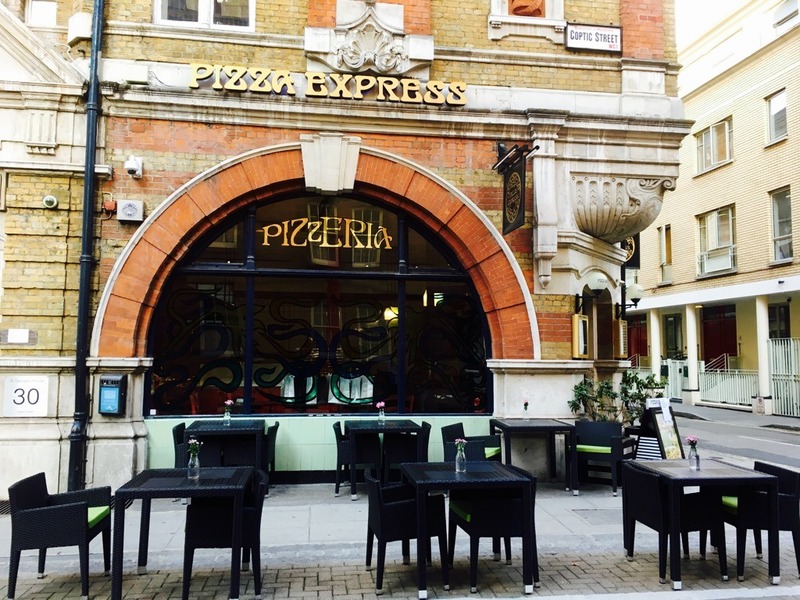 The Pizza Express in Coptic Street is an old friend which has been in the 1888 premises of what was originally the Dairy Supply Company since 1967. Charmingly you can still see many of the features of the original dairy including the ceramic tiles in the interior and the hand-carved lettering on the building’s facade. It is the second restaurant in the Pizza Express family and the ﬁrst of many to be designed by Enzo Apicella creating a design style that is now recognizable as Pizza Express. 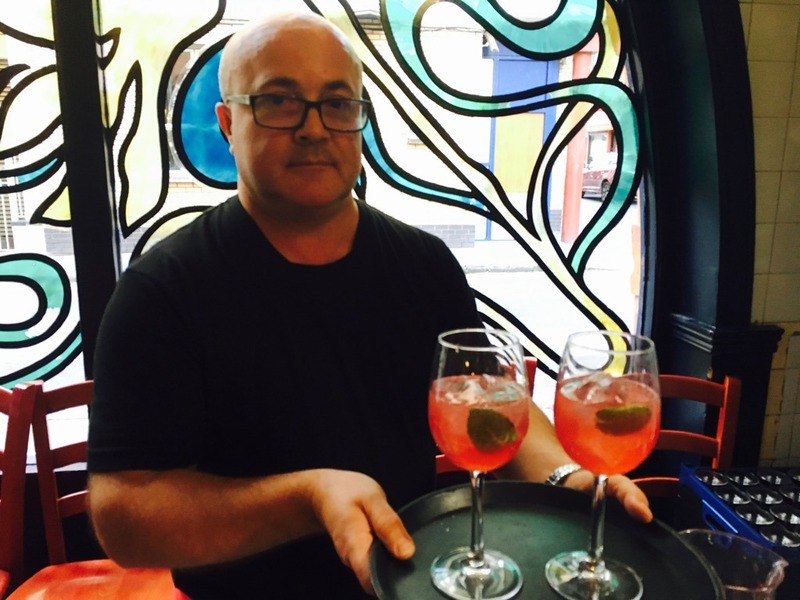 I had been invited to try the new pizza, pasta and cocktail autumn specials and was intrigued by the new drinks menu featuring pre-batch cocktails including the non-alcoholic Seedlip Garden 108 which uses Seedlip, the first distilled non-alcoholic spirit. This new non-alcoholic gin replacement features unique botanicals as found in your favourite gins. Seedlip is the only ‘spirit replacement’ that I like. It’s a bit like adding Angostura bitters to a tonic but with a bit of added sweetness. it’s a great ‘grown-up’ option for the driver! In a twist on the Cuban classic we also sampled the Berry Mojito Royale with the berries giving an autumnal twist to the minty cocktail. Out of the oven (at a constant 371 degrees) came some Nduja Arancini. 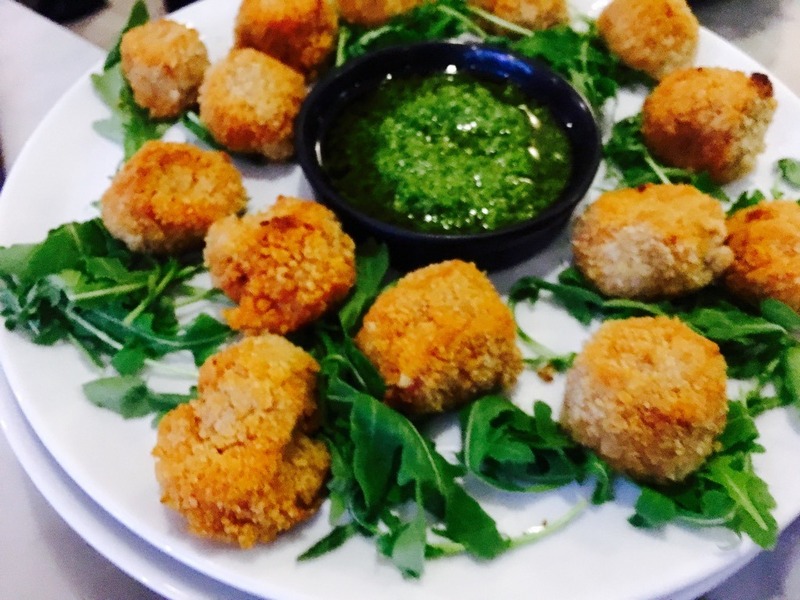 These delicious Italian streetfood snacks are crispy risotto balls with a melty cheese interior and a hint of punchy spice from The Calabrian Nduja sausage. Dip one into a bowl of pesto for added pleasure! Also from the oven came a Broad Bean Rigatoni, a sumptuously cheesy new vegetarian dish based on a traditional Sicilian recipe using gluten-free pasta and broad beans combined with spinach, parsley and a Ewe’s milk Pecorino cheese. More familiar was a Bolognese Rigatoni, the ultimate comfort food, with fresh gluten-free rigatoni covered with a rich beef sauce and a good helping of Gran Milano cheese. These gluten-free options are fab for people with wheat issues and the pasta has great texture and flavour. 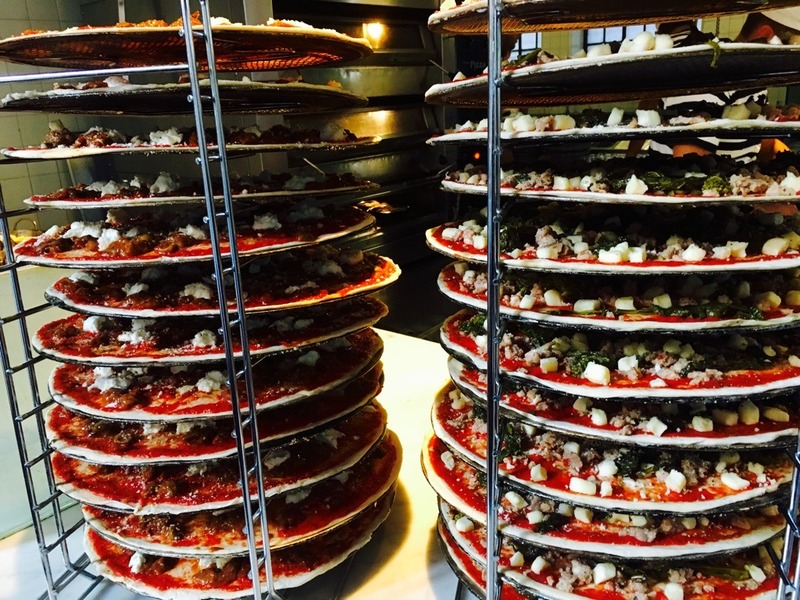 And of course, there had to be PIZZAS! The Campana Romana combines pork and fennel sausage with Friavielli (similar to long-stem broccoli) in a classically authentic Italian combo. But my favourite was the Caponata Romana that features the ﬂavours of the eponymous traditional Sicilian aubergine stew. Slices of fried aubergine, tomatoes, red onion, black olives, green olives, olive oil, red wine vinegar and capers top the pizza with optional anchovies for an extra salty bite. I was just about to leave when the Sticky Toffee Bundt Cake appeared – and then I couldn’t. 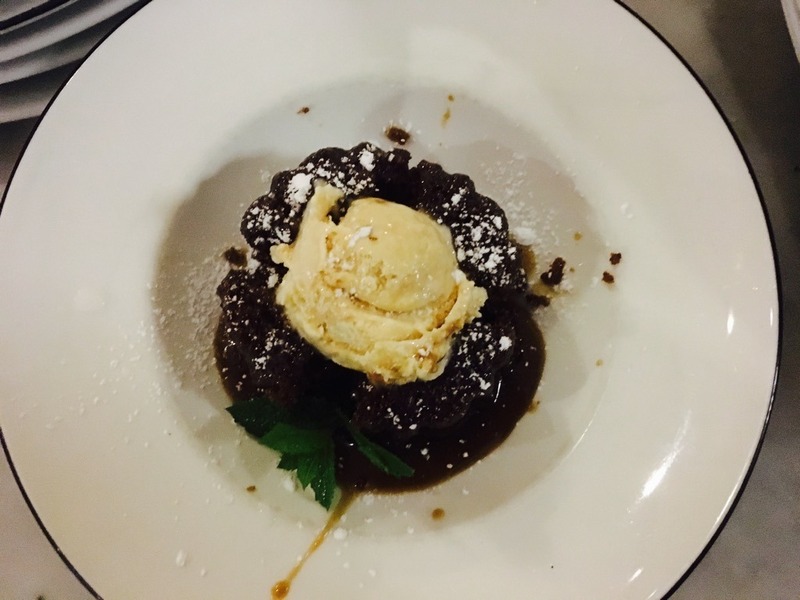 A deliciously decadent dessert, it’s a moist, indulgent and surprisingly light take on the traditional sticky toffee pudding. Oozing sticky toffee sauce from the centre of the cake and combining with the cooling creaminess of salted caramel gelato, this really is the ultimate end to any meal. 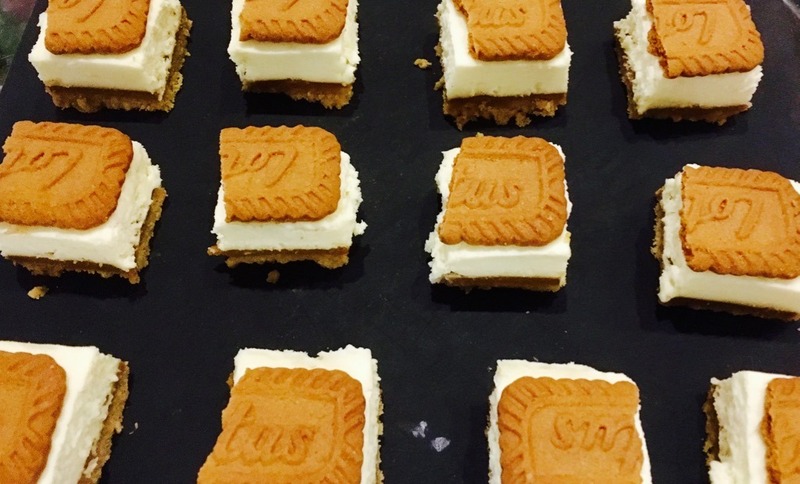 One dessert is never enough and a quick bite of the new Lotus Biscoff Cheesecake was the perfect sweet bite. It would be great with a Gingerbread Latte along with your favourite pizza. Pizza Express is one of those brands that we all trust and it’s good to see them refreshing their offer on a regular basis in such a creative way. Visit www.pizzaexpress.com for more information and to book your table. 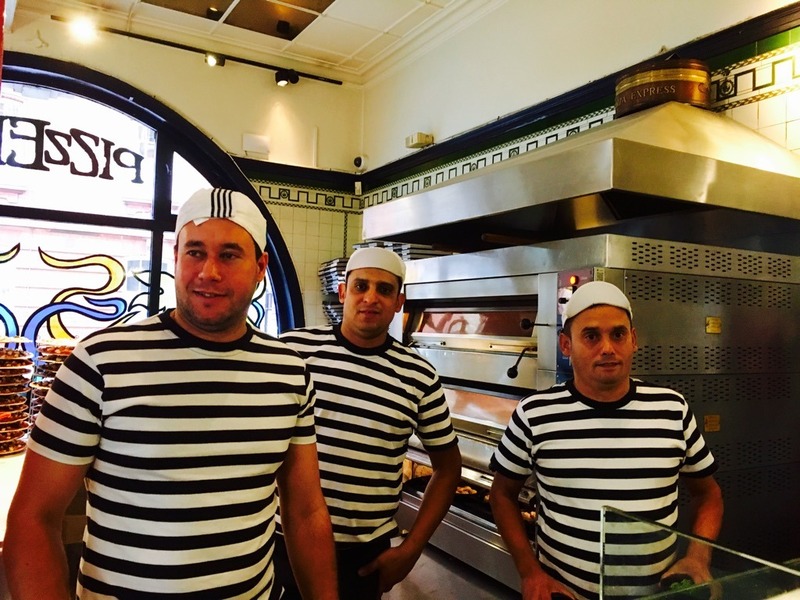 Soho’s Coptic Street PizzaExpress is at 30 Coptic St, Bloomsbury, London WC1A 1NS – nearest tube station Tottenham Court Road.